With the passage of the 2018 Farm Bill and the legalization of the commercial hemp market in the United States, you would think that transporting commercial hemp and hemp derived products between states would be a non-issue. This is especially true since the 2018 Farm Bill actually contains a provision guaranteeing the right of hemp farmers and hemp producers to transport hemp across state lines. 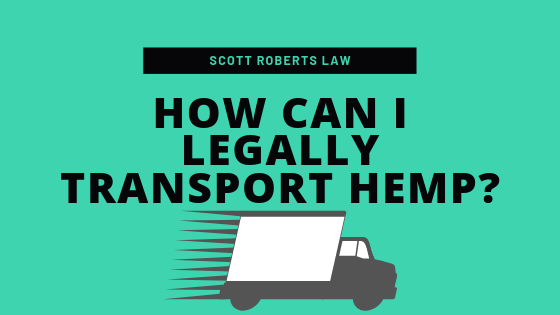 However, as several transporters have learned the hard way, there are still legal issues with transporting hemp across state lines. This is mostly due to three reasons: 1) court cases have found that the 2018 hemp bill’s protection for interstate transport only applies to hemp grown pursuant to the regulatory scheme created by the 2018 farm bill, 2) inconsistent testing methodologies, and 3) local and state police’s struggle to tell the difference between marijuana and hemp. Even after the passage of the 2018 farm bill, hemp transporters have been subject to seizures and arrests as they transport commercial hemp across state lines. In certain cases, those involved in the transportation of hemp are facing decades long jail sentences for controlled substance trafficking. In one such case, thousands of pounds of CBD-grade hemp worth approximately $2,000,000.00 was seized and the driver and security guards were arrested in Oklahoma. Fellow McAllister Garfield attorney Frank Robison represents the transporters in that case and has represented clients in many similar cases. He believes these sort of cases “stifle the industry”. The interstate transportation provisions protecting the transportation of hemp and hemp derived products only protect hemp grown pursuant to the 2018 Farm Bill. Court cases have found that this excludes all the hemp not grown by a facility licensed by the state’s department of agricultural pursuant to the 2018 Farm Bill, meaning there will still be a gap in terms of the ability of the provision to protect interim hemp transportation. This is why cases like the one described above can still happen even after the passage of the 2018 Farm Bill. Nonetheless, even when transporting hemp grown under the 2018 Farm Bill, there may still be legal issues with respect to interstate hemp transportation. This is due to the inconsistent testing methods used by each state to determine whether hemp contains more than the legally prescribed 0.3% THC—or in industry lingo—is “hot.” As an example, a load of hemp could, on average, test at 0.2% total THC, but if several tests are performed, chances are that not all batches would uniformly test at 0.2%. Instead, some hemp batches would test at 0.1%, some at 0.2%, and some may test at 0.3% or greater. If even just one test finds THC levels above 0.3%, then a state could declare that at least part of the hemp is “marijuana” and therefore subject to that state’s marijuana laws. Unfortunately, there is currently no standard methodology for sampling. That means that until federal rules are released, which could take years, there is no uniform way to determine whether a batch is “hot.” Accordingly, one state could consider a batch of commercial hemp to be compliant under its testing methods, while another state could reach the opposite conclusion. Until there is standard testing methodology, or until courts establish that states must give “full faith and credit” to another state’s testing results and methodology, the issue of inconsistent testing methods will continue to cause problems in the hemp industry. While there are some things you can do to protect yourself when driving hemp across state lines—e.g. choosing your route carefully and having documentation available—this will continue to be a problem until such time as the FDA or the U.S. courts address the testing issue head-on. While the most common form of transport still appears to be by car or truck, the combination of inconsistent testing and overzealous local police has caused some hemp transporters to utilize other methods of transport. One method of commercial hemp transportation that seems to have caught on recently is trains. Why trains? The answer is simple—a police officer can’t pull over a train. Shipping by train, though potentially more expensive, can solve the problem of overzealous local law enforcement. While we certainly recommend that you still include all the paperwork that you would have when shipping by car or truck, there appears to be significantly less risk of local law enforcement holding up or seizing shipments. For this reason, transporting hemp by train is growing in popularity and was a commonly discussed topic at the 2019 NoCo Hemp conference. While these requirements could be considered over-kill, they nonetheless represent a step in the right direction. Previously, CBD companies like Pure Spectrum out of Colorado have fought with the U.S. postal service over shipping CBD products. Now, CBD companies will be able to ship commercial hemp derived products like CBD and CBC without the threat that their shipment could be arbitrarily seized by USPS. There are many ways to transport hemp and hemp derived products such as CBD. While the 2018 Farm Bill does provide protection for transporting hemp and CBD across state lines, there are still risks and additional costs associated with transporting hemp and hemp products across state lines. As a Michigan hemp attorney, I would recommend that commercial hemp transporters give careful thought into how they plan on transporting hemp, especially in the interim period before the 2018 Farm Bill’s protection take effect. 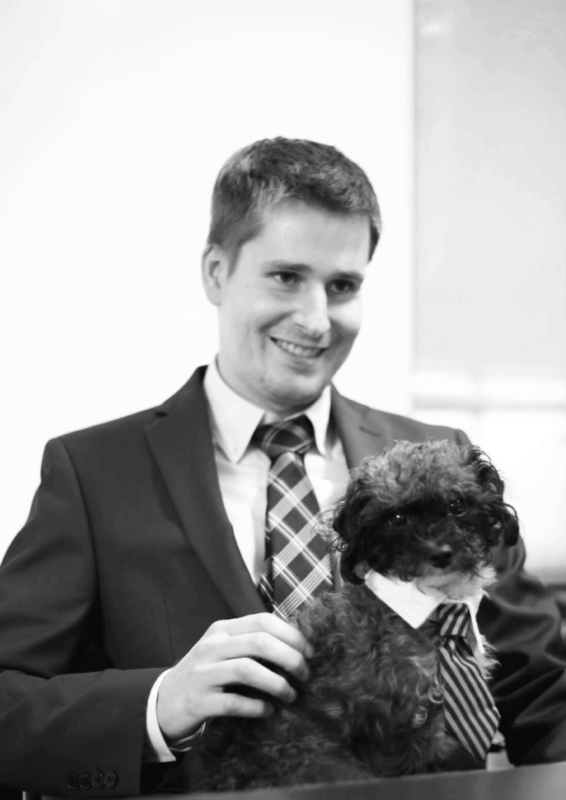 Scott Roberts is a Michigan Hemp and CBD attorney. He is the managing attorney at Scott F. Roberts Law, PLC, a Michigan-based cannabis law firm that advises marijuana and hemp companies on business, real estate, and regulatory issues. Mr. Roberts is also an attorney with McAllister Garfield P.C., a national cannabis and hemp firm with a devoted Hemp and CBD legal practice group.